This is an appeal from an Edinburgher to help preserve Edinburgh's best loved wee dug. Greyfriars Bobby. A statue of the loyal terrier sits proudly outside Greyfriars Kirkyard where his master is buried. 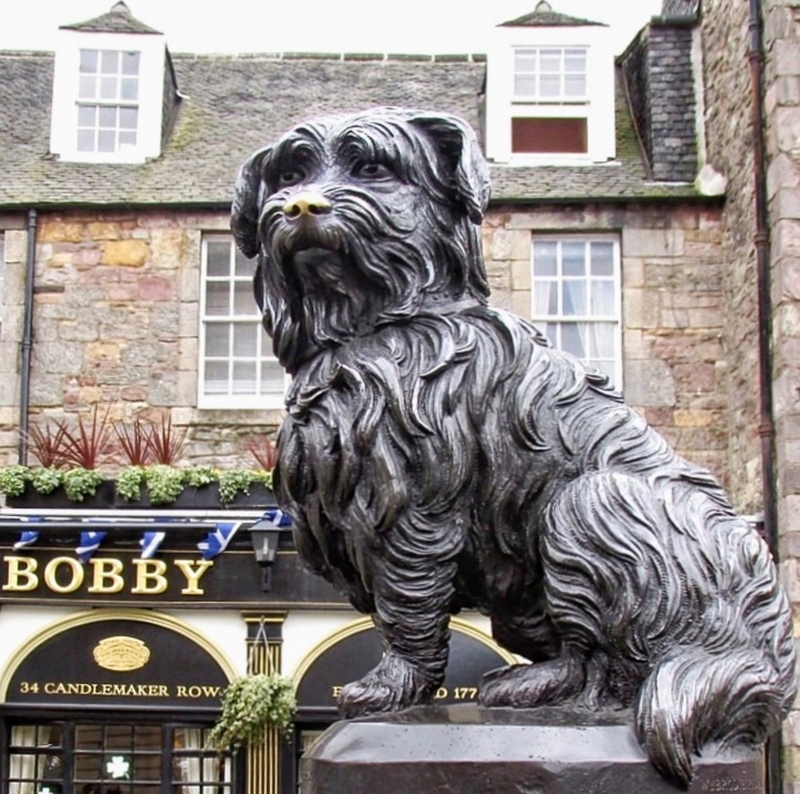 Bobby has sat there happily for many years looking awfy bonnie until quite recently when some silly, uninformed tour guide decided to spin a yarn that rubbing the wee dug's nose would bring good luck. Please believe me when I say it's not good luck and it's not a tradition. It hasn't resulted in a spare of lottery wins either. Now our poor wee Edinburgh dug looks awfy daft with a big shiny nose. More like a clown than a proud wee terrier. It's also costing the council money to repair and preserve the statue, as what you may see as a bit of harmless fun is actually causing damage to our lovely wee boy. We want him to survive so generations of Edinburghers and visitors to come can love him as much as we do. So please do admire our wee dug and have a photo taken with him but please don't rub his wee nose away any further. The reason you'll never catch a local rubbing his nose is simple. They know the true story. It's actually bad luck to rub his nose as it awakens the ghosts of Bloody MacKenzie and Voldermort in Greyfriars Kirkyard from their eternal slumbers and they'll appear to chase you off. Trust me you don't want to meet those guys. 100% agree! I was on one of the tour buses last summer and the guide on board was very scathing about this new 'fad'. I heard that not only do ghosts appear to chase you off but the paving slabs underneath you will come apart, swallow you up and send you to.... FIFE! The horror! (With apologies to the good people of Fife, Fife is in fact lovely and the coastal path is definitely worth visiting. St Andrews is nice too.... oh and there's a good chippy in Anstruther).